St. Mark’s is an inclusive, hospitable, compassionate, and nurturing community, where people of all ages and backgrounds share relationships. We participate meaningfully in ministries, missions, outreach, small groups, classes, and music programs. Robust Sunday attendance reflects the vibrancy of our community. 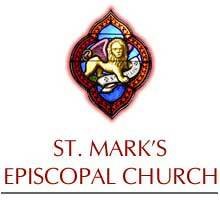 St. Mark’s is committed to bringing all people to a transformative relationship with Christ, through diverse and creative worship, education, and ministry. We are a scripture-grounded community, where every person seeks to grow into the full stature of Christ by being empowered for ministry in daily life; by becoming biblically literate; and by practicing mutual accountability. You are invited to visit our church and meet our church family.